And I was wrong. It's not cute girls and mecha. It's a war drama. The story is strong. The art is woefully inconsistent. The writing is frustrating because there are times when it alludes to something and it made me gasp or think how clever it was, but then it would continue to beat you over the head with this info (because they assume you aren't paying attention?) or else leave something interesting unexplored. The fight scenes are exciting, and the CG is pretty good. I have to wonder then, why they didn't try to CG more of the show since most of the animation is so shoddy. Or maybe simplify some of the outfits? One of the worst animes I've seen. Was the point of this to make me as angry as possible? Seriously, DO. NOT. WATCH. THIS! This anime tried to have "good guys vs bad guys" and show the both sides of war AT THE SAME TIME, and they failed miserably. The blue team of the bad guys were hated by almost everyone (in the comment section of episodes). They were given about half of the entire runtime, and from that, half was killing good guys and half was saving orphans, or playing with orphans, or donating money to orphans. Did I already said that they help orphans. Yeah, they helped orphans, and then they helped orphans some more. This anime's desperate way of attempting forcing us like the Blue Team, and Blue's thick plot-armor (and I really mean THICK plot-armor) made me want to watch them die horribly. The two main characters were the worst characters. Yuki, the princess, tried to fight the war with as few death as possible. Well, she succeeded in preventing the enemy from dying, at the cost of mass death on her own side. And Stella. From the Blue team. She had this constant smile, creepy and lifeless. She was at first shown as a complete psycho, going as far as seeming to enjoy an orphan (good guys) telling her how her parents were killed by the Empire, then later Stella pointed a gun at this poor girl threatening to shoot her (it's worst than it sounds). Then the show went 180 on her, and attempted to redeem her, but all it did made me hate her more. The only reason why I watched the whole season was that I wanted to see everyone in the Blue team die so bad. It tried so hard, and it had such an interesting idea. However, it lacked the budget to truly do it justice, and that was its undoing. I wanted to like this show more. It tries to show the human cost to wars, but the execution was too flawed for me to give it more than a grudging three stars. It's one of those "guilty pleasure" shows that I will probably re-watch later, but can't give anything more than a qualified and lukewarm recommendation to anyone else because its glaring flaws are universal while its endearing traits might only be appreciated by a few. The first flaw is the character designs. While the Imperials have the businesslike black skinsuits, the Kingdom have these garish and over-stylized uniforms that look like they were designed by a grade schooler. But the clothes are only a symptom: the Princess is at times too naïve, at times too skilled. Most of the time, she grates, in spite of her noble inclinations. The second is the artwork. The mecha are CG and look good. However, the non-CG shots often look flat and unappealing. The Big Gun in Episode 11 and 12 has no depth, no additional colouring to give it any sense of being. There are times they use crowd scenes and everyone simply looks like they were painted into place. There are more, but I'm just depressing myself. What I want to talk about are the factors that had me watching until the end, in spite of these flaws. The Grand Reveal for Stella and Layla was obviously set from the very beginning, and it was surprisingly well done. The Big Bet in the OP, showing the Princess and Stella being such dear friends when they've never met for almost the entire series was also intriguing. I wanted to see how they pulled it off, and they did not disappoint. Other reviews have savaged the show for its fundamental failure in military tactics and its balance of power in favor of swords over guns. I can't disagree with the facts, though they weren't significant failings to me. Again, I enjoyed it, but I'm not sure you will. I tried pretty hard to give this anime every chance I could. But it really fails to deliver in almost every area. It's no spoiler to say this is one of those shows that tries to show how good people can exist on both sides of a war. And while it does show that, everything else that supports that idea fails. This series suffers from major plot holes. The very reason for the war is never clearly explained, all we know is one side is the aggressor very clearly. But we don't see anything about their motivations for their aggression. It is difficult to sympathize with an aggressor that seems to be nothing but a greedy conquer - which then makes it really hard to feel sympathetic toward their soldiers who are lost in battle - they are the bad guys and the fact that as individuals they aren't bad people doesn't change the fact that they are fighting for a clearly evil cause. On the other hand it is hard to be sympathetic to the victims either, because their own gross incompetence in first lying to, and then relying on a 12 year old monarch to lead their nation. Of course a 12 year old girl can't handle that! And thus most sympathy is lost because to the viewer, obviously these people could do a much better job, but don't for massively illogical reasons. Technology also makes little sense. It's revealed in very early on that this isn't Earth but a world colonized by Earth. But apparently large parts of technology have been lost, like the ability to generate power from any other sources (solar, fossil fuels, wind, thermal, SOMETHING?) and even the basics of flight. They have giant robots and super advanced computers, but growing crops is massively difficult? How does a civilization that could travel to another solar system and colonize a world, lose all the technology without good reason? None of the cast in this show is particularly likable either. Everyone is very bland and boiled down to a stereotype or cliche. Not to mention the final solution to the war is laughably childish and makes little to no sense - is even pointed out to the responsible character who just decides to do it anyway. There are certainly worse anime however. There is some cool action at times, some vaguely interesting ideas talked about and some okay music. But I couldn't recommend this show to anyone unless they'd already watched a solid majority of other sci-fi anime first. This isn't quite the bottom of the barrel, but it's close. DO NOT STOP ON THE FIRST EPISODE! Really gets a whole lot better further on with a satisfying ending and great action. Its a good show that lets you see both sides of the story and handles demonstrating the the physiological and civilian toll of war.Overall a fun watch would definitely recommend! I watched it because the first episode is interesting, but it become flat after few episodes and become boring towards the end, but I love the opening song! But, then I finished it off because I already started it. So, I wouldn't recommend it, but I would say it was okay. Could have been great; missed the mark. I have finished the series with an open mind and now that I have finished the disappointment is unreal. There are so many things wrong with this show, to avoid spoilers somewhat they use a quantity vs quality justification of why a side wins a fight. Despite them hyping up new technology that’s groundbreaking and unlike anyone has seen before the less advanced side can win battles because they have an overwhelming force. History shows us that’s just not true when you look at the Native American Indians and Europeans. You find the characters you like the most dying, a rag tag group of “pawns” who are worthless to the Empire is somehow able to take on Royal Guard. You can’t tell who the good guys are meaning there are really no bad guys. The ending scene was just awkward as could be what was the deal with that? Overall the main character really only changes once after learning the true state of the world she’s shown to be this amazing tactical genius in battle in E1 but then only uses it once more in the series there just was not a single thing that stood out as a great scene. 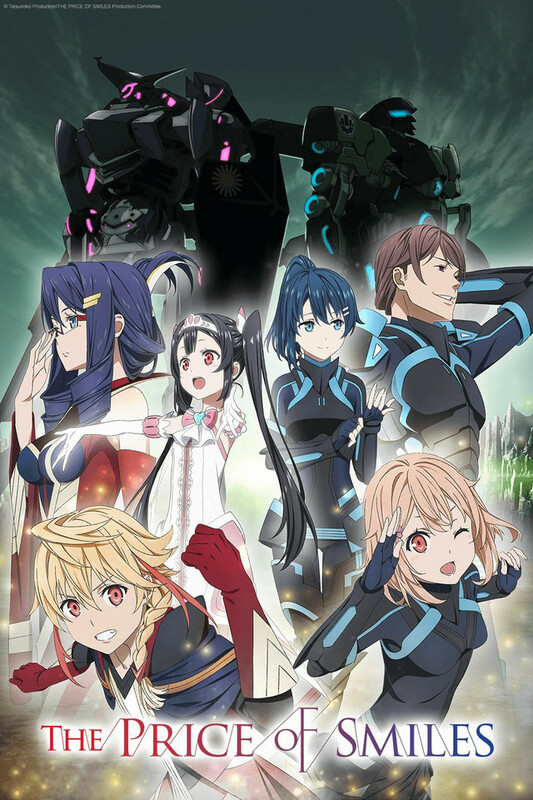 It pushed so hard trying to influence ethics of the viewer that it just failed as an anime when it could have been wonderful had they not killed off every character and also treated the elite fighters of the elite more techifkocaly advanced civilization like they were some low level meat shield like a goblin wall in Gate. If you haven’t yet, don’t watch. It had promise until the ending. The ending was really rushed and underdeveloped. Also the characters where card board cutouts and nothing special at all. I would go far to say that half of the cast was annoying. The action was good and the story had some good points. There was good build up but the ending was terrible. Could have been done miles better. Honestly your better off watching something else.